The article claims that it is a well-established fact that ingesting large amounts of glyphosate causes metabolic acidosis and other pathophysiologic changes. Clinical signs of acute glyphosate poisoning include severe acidosis determined by low blood pH, hyperkalemia, hypernatremia, raised creatinine and blood urea levels, hypotension, hypoxemia and reduced serum bicarbonate. Severe poisoning causes dehydration, pneumonitis, oliguria, altered level of consciousness, hepatic dysfunction, pulmonary edema and dysrhythmias 1, 2, 3. The authors go on to claim, however, that available scientific reports and records from the CDC examined and compared in their study provide overwhelming “circumstantial evidence” that ingestion of glyphosates in low doses also has serious health effects which are being overlooked in toxicology evaluations and public policy. “How much evidence is needed?” they ask in the article. “Taken together, this evidence suggests that glyphosate, in the doses equivalent to allowed residues in food ingested over a long period of time, causes a low-grade, chronic acidosis as well as mitochondrial dysfunction,” states the study. Finally, they hypothesize that many modern diseases are primarily acquired mitochondrial disorders caused by chemical pesticides, pharmaceutical drugs, food additives and industrial chemicals. A pest-control company has agreed to pay $10 million in penalties for using a dangerous pesticide at a U.S. Virgin Islands resort where a Delaware family fell critically ill, federal prosecutors said Tuesday. Terminix International Company LP and its U.S. Virgin Islands operation agreed to plead guilty to four counts of violating federal pesticide law in a deal with prosecutors that still needs to be approved by a judge. According to information filed Tuesday in federal court in the U.S. District Court of the Virgin Islands, the Wilmington family was staying at the Sirenusa resort in St. John last March when they were exposed to methyl bromide, which had been sprayed in an adjacent unit. Stephen Esmond, an administrator at the Tatnall School in Wilmington, his wife, Theresa Devine, a dentist, and their two teenage sons, were hospitalized. 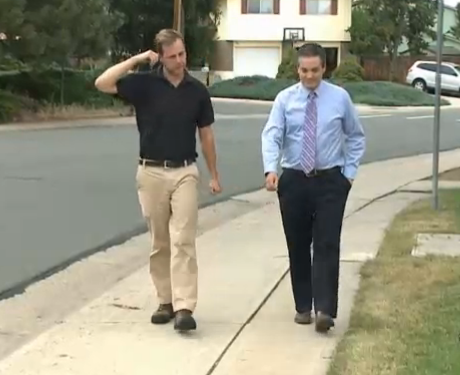 The sons spent weeks in medically induced comas. The family was blessed by Pope Francis at a brief meeting at Philadelphia International Airport as the pontiff was leaving the city following his weekend visit in September. Methyl bromide can cause convulsions, coma, and cognitive deficits. The indoor use of products containing the chemical was banned by the federal government in 1984 and the remaining uses are highly restricted. As part of the plea deal, Terminix agreed to make good faith efforts to cover medical expenses for the family through a separate civil proceeding. If the expenses are not resolved, prosecutors said they may reopen the sentencing proceedings. The four criminal counts cover the illegal use of methyl bromide twice at the St. John resort, once in St. Croix, and once in St. Thomas. “The facts in this case show the Terminix companies knowingly failed to properly manage their pest control operations in the U.S. Virgin Islands, allowing pesticides containing methyl bromide to be applied illegally and exposing a family of four to profoundly debilitating injuries,” said Assistant Attorney General John C. Cruden. ServiceMaster Global Holdings Inc., the parent company of Terminix, filed a notice Tuesday to investors about the plea agreement. Citing the judge’s pending decision on the plea deal, a company spokesman declined to comment. The $10 million in penalties include $8 million in fines, $1 million in restitution for the government’s response and cleanup at the St. John resort, and $1 million to the National Fish and Wildlife Foundation to fund training for pesticide applicators in the U.S. Virgin Islands. can cause birth defects. Of of the 30 most commonly used lawn pesticides, 19 can cause cancer, 13 are linked to birth defects, 21 can affect reproduction and 15 are nervous system toxicants. A number of published studies using animal toxicity data and human cells/tissue laboratory data also show that pesticides are linked to several major public health problems. of patterns of chemical use with an effect is difficult to establish in epidemiology and therefore may underestimate hazard effects. When a correlation is established it raises serious concern. The epidemiologic studies in the Pesticide-Induced Diseases Database show an overall pattern that links pesticide exposure to major diseases. chemicals, which interact with the endocrine system, wreak havoc in humans and wildlife. which help guide the development, growth, reproduction, and behavior of animals, including humans. Hormones are signaling molecules, which travel through the bloodstream and elicit responses in other parts of the body. Endocrine disruptors function by: (i) Mimicking the action of a naturally-produced hormone, such as estrogen or testosterone, thereby setting off similar chemical reactions in the body; (ii) Blocking hormone receptors in cells, thereby preventing the action of normal hormones; or (iii) Affecting the synthesis, transport, metabolism and excretion of hormones, thus altering the concentrations of natural hormones. Endocrine disruptors havebeen linked to attention deficit hyperactivity disorder (ADHD), Parkinson’s and Alzheimer’s diseases, diabetes, cardiovascular disease, obesity, early puberty, infertility and other reproductive disorders, and childhood and adult cancers. More than 50 pesticide active ingredients have been identified as endocrine disruptors by the European Union and endocrine disruptor expert Theo Colborn, PhD. Endocrine disruption is the mechanism for several health effect endpoints. To view this article in its entirety see Beyond Pesticides – Pesticides and You. Database can be viewed here at Pesticide-Induced Diseases Database. As in most states, regulators in California measure the effect of only one pesticide at a time. But farmers often use several pesticides together—and that’s a big, toxic problem. 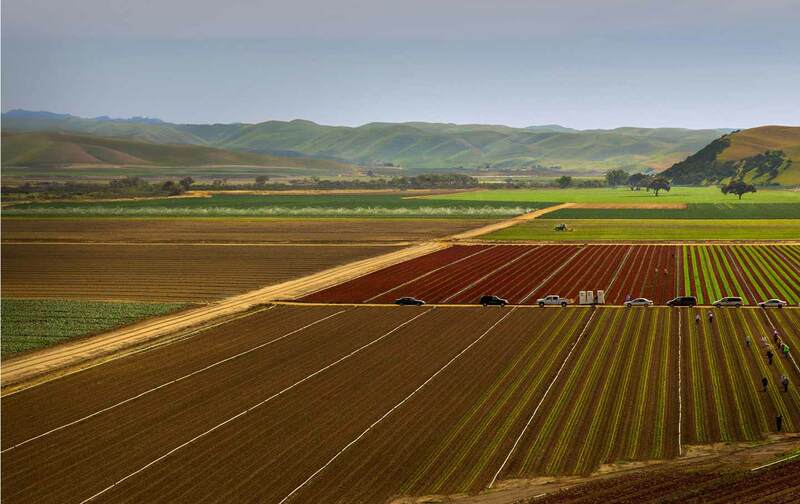 California officials have long touted their pesticide regulations as the toughest in the nation. But a new report from the University of California, Los Angeles, reveals a major flaw in the state’s approach to evaluating safety, one that has broad implications for the way pesticides are regulated nationally: Regulators assess pesticide safety one product at a time, but growers often apply pesticides as mixtures. That’s a serious problem, the authors argue, because pesticide interactions can ratchet up toxic effects, greatly enhancing the risk of cancer and other serious health conditions. Individual fumigants are highly reactive chemicals that damage DNA and interfere with proteins that perform critical cell functions. Acting together, these effects multiply. So even pesticides that don’t cause cancer on their own might do so together by interfering with or overwhelming the body’s ability to clear toxic substances, or harming DNA and then blocking mechanisms to repair it. These interactive effects would not be detected in studies of individual pesticides. Froines, who served as director of the Office of Toxic Substances at the Occupational Safety and Health Administration under President Jimmy Carter and has led several scientific review panels at the state’s request to assess chemical toxicity, has revealed flaws in pesticide regulations before. In 2010, he headed a California scientific review panel that deemed chloropicrin—one of the fumigants studied in the current report—a “potent carcinogen.” State officials ignored the panel’s advice and decided the evidence was ambiguous. The same year, he chaired another review panel that called the fumigant methyl iodide a “highly toxic chemical” that poses a serious threat to public health. This time, manufacturers withdrew the product from the market. With few restrictions on combining pesticides, growers often use multiple-chemical formulations or apply different fumigants to adjoining fields or in close succession. That exposes people who live, work, and go to school near these fields to several fumigants at once, despite growing evidence that these chemical concoctions pose even greater health risks. As reported by the Food & Environment Reporting Network and The Nation last April, residents of Oxnard, a strawberry-growing stronghold in Southern California where most residents are Latino, had worried for years about the risks of heavy exposure to fumigants. Rio Mesa High School students were twice as likely as white kids to go to schools near heavy fumigant use. And though regulators admitted as much in addressing a complaint filed by several parents, they did little to restrict fumigant use near schools. In fact, the year after EPA officials dismissed the families’ complaint, growers dramatically increased their use of toxic fumigants around Rio Mesa. Less than a month after the Nation story ran, the Department of Pesticide Regulation announced it would revisit restrictions on pesticide use near schools after seeking public input through statewide workshops. Officials promised to deliver new rules last December, then pushed back the date, saying they hadn’t reviewed all the public comments. DPR spokesperson Fadipe says they’re still working on draft regulations but can’t say for sure when they’ll issue the draft rules. The UCLA report shows that going to school at Rio Mesa still poses a health risk. The authors used standard EPA air dispersion models and pesticide use data collected by state regulators to simulate likely fumigant dispersion patterns around the school. They chose Rio Mesa in part because an on-site air monitor shows that fumigants are escaping into the air. As expected, their modeling results show that overlapping exposures occur at Rio Mesa—two years after EPA dismissed community concerns—and at other locations, including schools and daycare centers. Pesticide interactions can ratchet up toxic effects, greatly enhancing the risk of cancer and other serious health conditions. These results underscore the importance of establishing no-spray zones around schools and other sensitive sites as soon as possible, activists say. Regulators must consider synergistic effects of pesticides in risk assessments, the authors say. They contend that a California law requires state agencies to consider cumulative impacts and that interactive effects from pesticides fall under that law. They urge state officials to make several changes to pesticide regulations to uphold their mission to protect public health. NYC Landlord Sues Tenant for Refusing to allow Chemicals into Apartment to treat bedbug infestation. 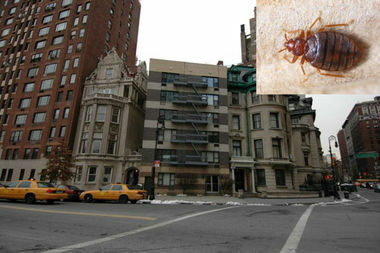 UPPER WEST SIDE — The owner of a Riverside Drive residential building is suing a renter for allegedly allowing a “severe” bedbug infestation to intensify by ignoring an exterminator’s instructions to treat the apartment after it was deemed the epicenter of the outbreak. The landlord is suing tenant James Behan, who rents a second-floor studio apartment in 2 Riverside Drive at West 72nd Street, for more than $300,000 in damages and legal fees, according to the suit filed last week in state Supreme Court. Behan made the infestation worse by refusing to comply with an exterminator’s demands and repeatedly re-infesting the apartment, which cost the landlord money and left the 24-unit building open to lawsuits that could be brought by other tenants, the suit said. 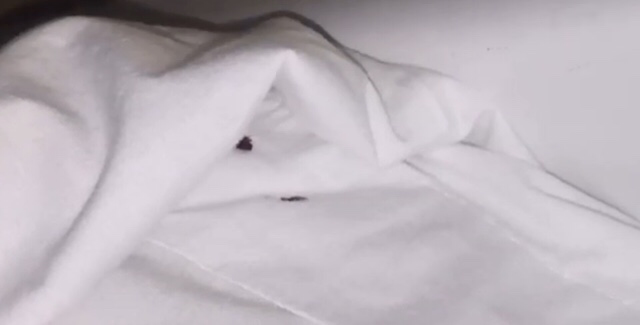 After hearing from several residents that there were bedbugs in their apartments, the landlord notified everyone in the building of the problem on Dec. 14, 2015, and said an exterminator would be coming two days later, the suit said. An exterminator determined on Dec. 16 that five apartments had bedbugs and that Behan’s had the “worst infestation,” with the insects visible on the “baseboards, outlets, ceilings, and all over the furniture” of his apartment, according to the lawsuit. Behan did not seal up infested clothing and personal items as instructed by the exterminator and was seen setting them aside in the hallway without any plastic bags to contain the critters, the suit said. He also refused to dispose of clothes and other personal property per the exterminator’s request, and did not allow the exterminator to use certain chemicals to rids his apartment of the infestation, the suit said. Additionally, the landlord wanted the exterminator to treat Behan’s car after bugs were found there, but Behan refused to grant access to the vehicle, leading the landlord to believe the infestation spread again from his car back into the apartment, the suit noted. The lawsuit alleges that Behan also regularly visited another location with an infestation and spread those bedbugs to his apartment. He also left his unit’s door open, the suit said. Behan has “no valid justification” for not complying and he produced an “ongoing bedbug problem” in his apartment, as well as creating “unsafe” conditions for other tenants, who still have bedbug issues, the suit said. In addition to hundreds of thousands of dollars in damages and legal fees, the landlord is also seeking an injunction from the court to prevent Behan from interfering with extermination. Behan could not be reached for comment Tuesday. The attorney representing owner 2 Riverside Drive LLC did not respond to a request for comment. 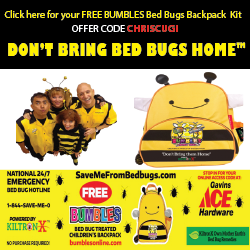 PREPAREDNESS SALE – WestPoint Home offers 50% discount off entire Live Free Pesticide Alternative Bed Bug Product Line – today, December 22, 2015 thru December 31, 2015. Use link below to purchase. Just a few examples – all products and sizes available. 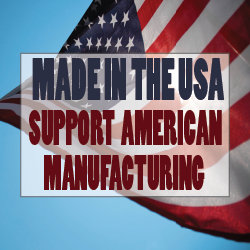 Note – Live Free mattress covers are NOT encasements but are fitted fabric covers that use soy bean Cutelin ingredients.